The Shelby Series 1 is a seriously high-performance roadster, designed by Carroll Shelby and made by Shelby American. In the late 1990s, a fellow engineer needed the help of Phoenix Friction Products to get a clutch in the car that could handle the power. Shelby wanted to use the same exact clutch for the stock 320hp Series 1 and the 550hp supercharged version, mostly to reduce costs and complexity. The goal was to handle this amount of horsepower with a 9 inch single plate clutch setup. Due to our reputation for solving difficult clutch problems, Phoenix Friction was given the opportunity to identify and correct the issues with Series 1 clutch. The issues outlined above were due to the fact that - simply stated - the overall design of the clutch was very poor. 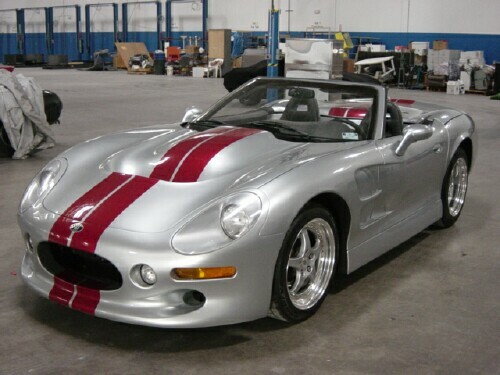 The supplier Shelby originally used simply didn't understand the challenge the Series 1 presented. Using our bench and lab testing equipment, engineering resources, and many years of experience with clutches, we were able to identify the flaws in the design — most of them were rooted in poor quality and a design that was allowing the pressure plate to distort and flex. We're proud to say that our design solved the clutch problems the Series 1 was having, allowing Shelby to begin promoting the car to the press and making deliveries to customers. We often talk about our experience working the Series 1 to demonstrate our unique skills and experience. Many, many clutch companies offer products that are adequate for small engines and basic applications, but it's a very short list of companies that can produce a quality clutch for any application, even something as specialized as a limited production supercar. Additionally, we talk about the Shelby experience because the process we used to design, develop, and test the clutch kit for the Series 1 is the same process we follow for all vehicles. It's our combination of skills, expertise, and a great development process that allows us to produce world-class clutch systems and components.